I think they failed, in part, because they started with an irrational premise. Homosexuality is no more an illness than, say, pedophilia. (No, I am absolutely not trying to draw some moral equivalence between the two. But I am planning to make a point, which will be clear shortly.) Nor is it a matter of choice: people do not intentionally choose their personal preferences. So in what way, exactly, are pedophilia and homosexuality different? No, it’s not because one is “abhorring” or “criminal”; in many societies (including our very own Western societies in the not too distant past) both are considered abhorring and criminal. There is a crucial difference, though. 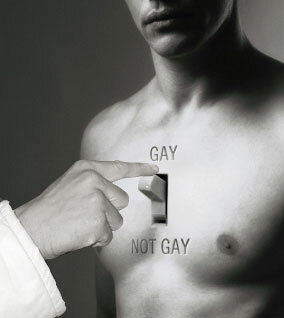 Homosexuality is between consenting adults. Pedophilia involves children who are brutalized and victimized. Our enlightened society basically came to the conclusion that what consenting adults do with one another in the bedroom is nobody else’s business. On the other hand, we certainly do not condone the abuse of children for sexual gratification. So here is an argument religious folks who are opposed to homosexuality could have made: that in their view, while it may be a victimless crime, homosexuality is just as immoral as pedophilia. We expect people to restrain themselves and not commit immoral acts, even if they are unfortunate enough to have been born with desires and preferences that would otherwise compel them to act immorally. Of course the problem is that enlightened societies have, in recent decades, moved in the opposite direction: we stopped labeling homosexual acts immoral and became more accepting of the fact that homosexual people can be just as loving and caring for each other as heterosexuals. But it does leave open a difficult question. If there is something that you consider deeply immoral, which is increasingly tolerated by the society in which you live, what do you do? What should you do? Should you simply accept the will of the majority? Obviously that’s not the right answer, as illustrated by plenty of historical examples when the support of the majority made horrendous atrocities possible. But if people with a deep moral opposition to homosexuality feel compelled to act in what they believe to be is their good conscience, how can we convince them not to? I don’t think “gay pride”, especially in its most visible forms, helps; in-your-face activism is much more likely to alienate people. I came to accept homosexuals when, still in my teenage years, I learned that a teacher I knew has been living in a harmonious, deeply loving relationship with his homosexual partner for many years. I realized that their “marriage” (though it was not yet called as such; homosexual marriages were still decades away) was a healthier and more loving one than many heterosexual relationships (indeed, many decades later, they are still together, a lovely elderly couple). This teacher also loaned me his copy of Stefan Zweig’s Confusion of Feelings, a collection of short stories that contained, among other things, the eponymous novella. Making people understand how deeply homosexual people care for their partners, how strong and long lasting their relationships can be… that might help. At the very least, it will make it harder for people to defend their homophobia by arguing that they are acting in the name of a loving God.